As we slowly, gluttonously triumph over the piles of Thanksgiving leftovers still moldering in our fridges, HBO is preparing to unleash another batch. 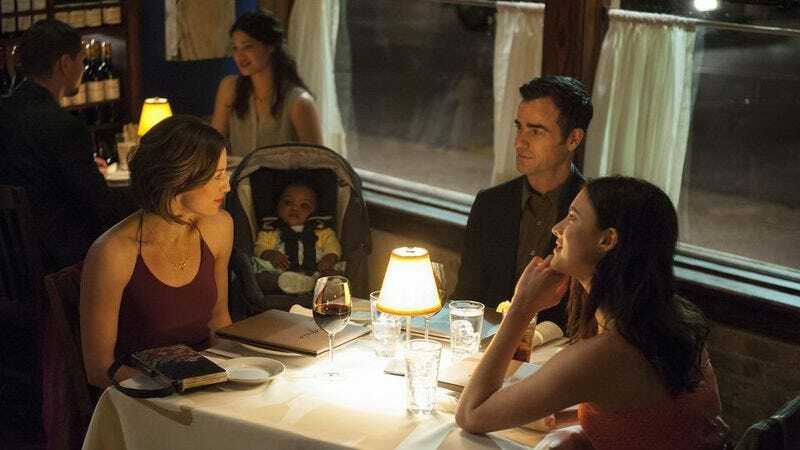 The premium cable network has announced a return date for the final season of The Leftovers, its critically beloved series about a world in which a large portion of the human population suddenly, inexplicably disappears. Last season, the show centered on the town of Jarden, Texas, a supposed haven that was spared the vanishings, and which was ultimately brought to ruin by the interest and needs of the outside world. Now, the series is bringing that same depressing anarchy down to Australia, with the third and final season set to premiere in April 2017. HBO made the announcement via Facebook, with showrunner Damon Lindelof and author Tom Perrotta standing in as members of its goofy, white-clad apocalypse cult, the Guilty Remnant. Gloomy regalia aside, the pair seemed to be in high spirits, gearing up to bring their tale of loss, faith, and weird, Purgatory-esque hotels to what will hopefully be some kind of satisfying close.